ChargeIt by Jay Halley Gold Glass Charger Plate 12-3/4"
Home > Products > ChargeIt by Jay Halley Gold Glass Charger Plate 12-3/4"
Use the ChargeIt by Jay Halley Gold Charger Plate 12.5" to add a touch of modern elegance to your table setting. 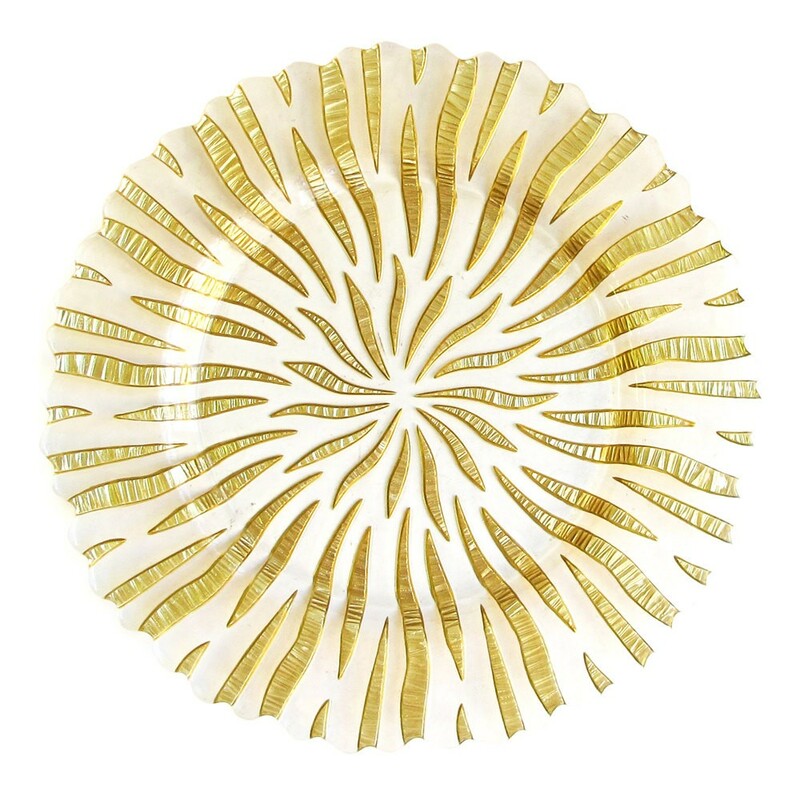 This charger plate boasts stunning gold streaks on an ivory background. The intricate pattern makes it seem like a work of art that doubles as a decorative base for your dinnerware. Great for formal gatherings and other upscale events, this charger plate provides a beautiful backdrop to highlight your specialty dishes. This charger plate is constructed from premium quality glass and is crafted with care. To keep it looking its best for a longer period, hand washing is recommended.